Welcome to the Sea Spray Inn Vero Beach website. So that you can know a little bit about us here is a bit of history both ours and the property's. This Vero Beach Hotel is owned and operated by Leslie Jones and Jeff Faucher. Oh, and lets not forget Marlie, their dalmatian. Before buying the Sea Spray Inn Leslie was involved with her family's industrial business in the northeast. Having lived and worked in New Jersey for many years Leslie was tired of the long cold winters. Leslie had been coming down to Florida part-time since around 2005. She moved to Florida full-time in 2009. Jeff was involved in the golf industry before buying the Sea Spray Inn with Leslie. He managed a golf course in Hobe Sound and was also a golf instructor. He had been coming to Florida since before 2000 and was full-time since 2001 or so. Both Leslie and Jeff wanted to find a business they could work together and have as their own. When the Sea Spray Inn in Vero Beach came onto the market it just seemed to fit their plans. Sea Spray Inn ~ A Vero Beach Hotel where you can feel at home. Established in 1956. The Sea Spray Inn Vero Beach was built in the 1950's and still retains the Old Florida charm. When it got started there was no park next to the hotel. We sit right next to the park that has one of the best beaches in Florida. Long ago people had to walk through small jungle trails to get to the beach. Those trails have been replaced with a well-tended city park. Our Vero Beach hotel added the pool in 1989 and made it into a heated pool in 1995. The property was taken over by Leslie Jones and Jeff Faucher in August of 2010. When you want to plan your next Florida Vacation look us up. Whether its a romantic getaway or a Florida Family Vacation you will find this an excellent choice. The property has seen some changes since they have taken over. Much of the furniture was changed and repairs that were needed are mostly done. The pool deck was expanded to provide room for people to sunbathe. There have been landscape improvments and more upgrades are always in the plan. The idea is to make the Sea Spray Inn a five-star small hotel where people feel at-home. The guests that have been coming for years are very happy with the changes and plan on coming for many more years. Leslie and Jeff want to provide an environment where people can relax and enjoy their vacations and enjoy the weather, especially those that are weary of the cold winters. Come to the Sea Spray Inn, a Vero beach Hotel with everything you need to relax. Sea Spray Inn ~ Once you Stay, You'll be Back. 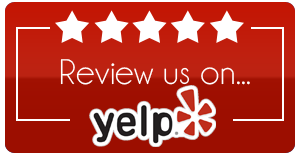 Be sure to check out our Vero Beach Local Reviews on Google, Yelp and Trip Advisor.